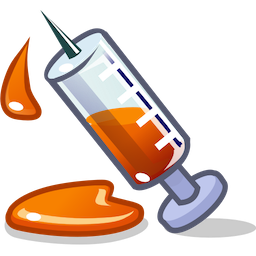 Stop Press: Injection now requires zero changes to your project. You can download this version by clicking here. which allows you to inject from AppCode, including Swift when it becomes available. Using Injection it is possible to make a change to the implementation of an Objective-C® class and have it take effect as soon as the class is saved without having to restart the application. This feature works for OS X and iOS applications in the simulator and on iOS devices. Injection works by compiling your class in a bundle project in the normal way which is then loaded into your application. The new method implementations are then "swizzled" onto the original class so they take effect immediately. This is completely automated by the plugin and a short stub of code dynamically loaded using lldb. Using Injection is straightforward as it is now a plugin for Xcode. The installer app can be downloaded by clicking here. Follow the instructions displayed to install the plugin then restart Xcode. The new functionality will be available under Xcode's "Product" menu. No further installation is required. Next time you would like to make changes to the implementation of a class, use "ctrl-=" to inject them. Injection is now shareware. After two weeks you will be asked if you wish to make a donation the next time you inject. If you have any feedback for the authors please drop us a line using . Injection works by patching your application project's "main.m" to include code which connects to the Injection application to control loading of bundles. The project's ".pch" precompiled header file is also patched to include 6 macros so they can be accessed by all classes in your project to selectively turn them into categories. All writable classes are automatically patched to use these macros as the project is opened in the Injection application. When any of these files are saved in the Xcode editor a new bundle is built and your application messaged to load it and apply the changes. In the "Control Panel" Injection makes available 5 parameters as a global array variable in your application which can be tuned using sliders in real time. Using this feature it is possible for a colleague to be playing a game while you tune parameters and modify code. All changes to your class sources are backed up and can easily be reverted from the "File" menu. The command to check out a file from source control is configurable in the application preferences. To download Injection for Xcode for evaluation you can click here. Consult the FAQ here & release notes here. New releases will now be announced on twitter account: @Injection4Xcode. Xcode, Objective-C, OS X and iOS are registered trademarks of Apple Inc.